It is easier to gain weight rather than to lose it but for some to gain weight may not be that simple. Such people are too thin and skinny in spite of gorging on a high-calorie diet like butter, sweets and deep-fried food. And this is the general mistake that most skinny people make. Those who have watched the famous Hollywood blockbuster hit series of ROCKY will agree to what I say. In the movie, Sylvester Stallone is shown with lean muscle mass, but the stamina he gains through training and proper diet transforms him into a real macho man. 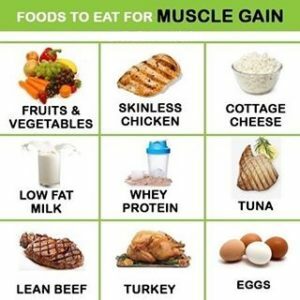 There is a difference between lean muscle and fat muscle, and it is indeed important to consume the right food that provides essential nutrients for adding mass to the muscles. The idea is to enhance muscle tone rather than accumulate unnecessary fat that may later be difficult to shed it. Muscle mass can be built with a healthy combination of diet and regular workout. In this blog, I have highlighted the various diet supplements that can successfully tone up your muscle mass. Not many people are aware that cottage cheese or paneer is entirely pure casein protein. It keeps you satiated for a long time and is slow–digesting. 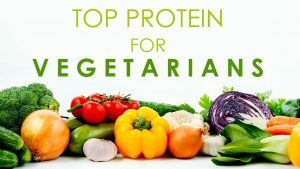 It is a boon to those who consume only vegetarian diet. It helps to achieve a well -toned muscular body. 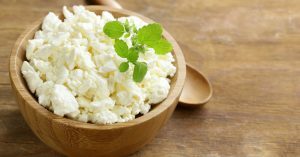 Apart from the above, cottage cheese is an excellent source of Vitamin B12 and Vitamin A. The egg is the richest source of protein and contains the right amount of fat to enhance strong muscles. Egg also contains nine essential amino acids that are vital for healthy growth. Now, whether egg white or egg yolk is beneficial remains debated. According to health experts, an egg is the most versatile and a complete food for those who wish to build body mass. 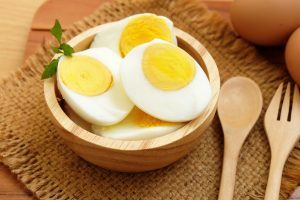 The egg white contains no fat, and the yolk contains only 5 grams of fat which is negligible as only 1.5 grams of it is bad fat. You can consume raw egg in a glass of warm milk. It is a powerful concoction to put on healthy muscle mass. For non-vegetarian lovers, lean meat and chicken is an excellent source of protein to assist in muscle repair and maintenance. The most sensible way to consume lean meat and chicken is grilled and baked dishes. Lean Chicken breast is one of the amazing foods to increase mass muscle. Chicken breast marinated with pepper, salt, and lime and grilled over a low fire with little oil is a beautiful dish to enhance your body image. Tuna fish also aids in muscle gain. Tuna fish is very high in protein and low in fats. It is also rich in omega-3 fatty acid that helps to build muscle tissue in the body. 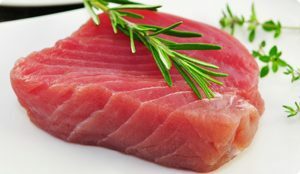 Tuna is available in different forms like canned tuna mixed with salt and oil or simply tuna fillets. Just mix some tuna fillets with vegetables for a nutritious supper and feel the difference. Whey protein is the most modern and fastest way to gain mass as it is loaded with quality protein. It is high in amino acids and low in fat content. 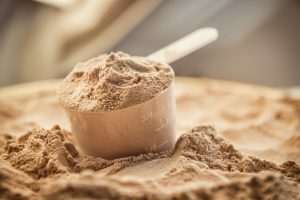 Whey protein is popular among bodybuilders as it contains peptides (small proteins) which easily flow into the muscles via bloodstreams. Consuming 20 grams of whey supplements 30 minutes before working out, and 40 grams post training will kick-start your muscle growth. Nowadays it is not Whey protein is easily available in the form of protein shakes and powder. Nuts and seeds like almonds, walnuts, flaxseeds, are rich in polyunsaturated and monounsaturated fats that are healthy fats. They play an essential role in the production of hormones especially testosterone that is vital to promote muscle growth. 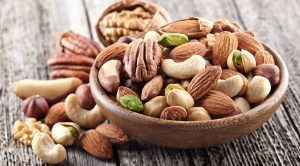 According to health experts, 1 ounce of nuts can provide 3 to 6 grams of proteins which are quite sufficient as too many nuts may lead to weight gain. You can always carry a handful of nuts to curb hunger pangs post workout instead of gorging on a slice of pizza. No meal is complete without adding a daily portion of fruits and vegetables. Almost all vegetables are loaded with nutrients and vitamins like Vitamin-C, Vitamin-E, and beta-carotene. They replenish the body with essential fibre and aids in flushing out toxins from the body. 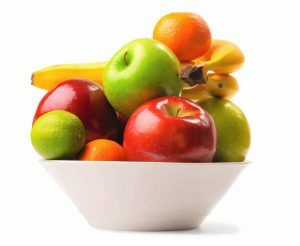 Two daily fruits and three servings of vegetables are ideal for those who wish to tone their muscles. Banana is one of the healthiest fruit that bodybuilders prefer to have post workout. It has the ability to convert sugar slowly into energy. It is recommended to consume three bananas daily, one in the morning, one pre-workout and one post-workout. Blend all the ingredients in the mixer and serve with 2-4 ice cubes. Your smoothie is ready to rock you. Such incredible food diet will definitely help to add weight to your muscle. Share if you agree with me and provide useful tips or information on the same. 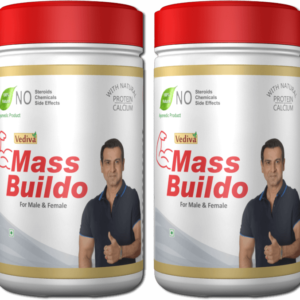 Along with a healthy protein rich diet, try our ‘MASS BUILDO’ protein supplement formulated on Ayurvedic principles. For more details visit www.massbuildo.com. This entry was posted in Mass Buildo, Nutrition and tagged Foods for Muscle Gain, Mass Buildo, Muscle Gain, Protein, Super Foods. Bookmark the permalink.